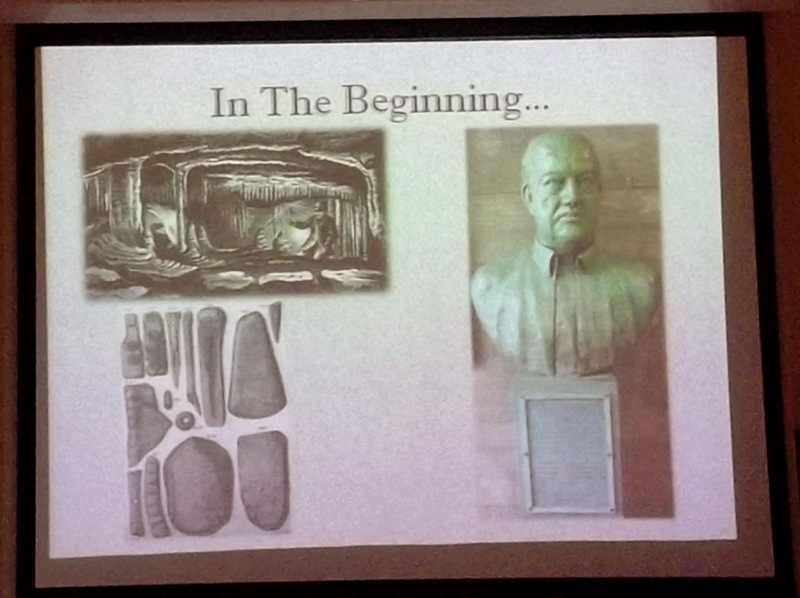 called the first scientifically recorded excavation took place. 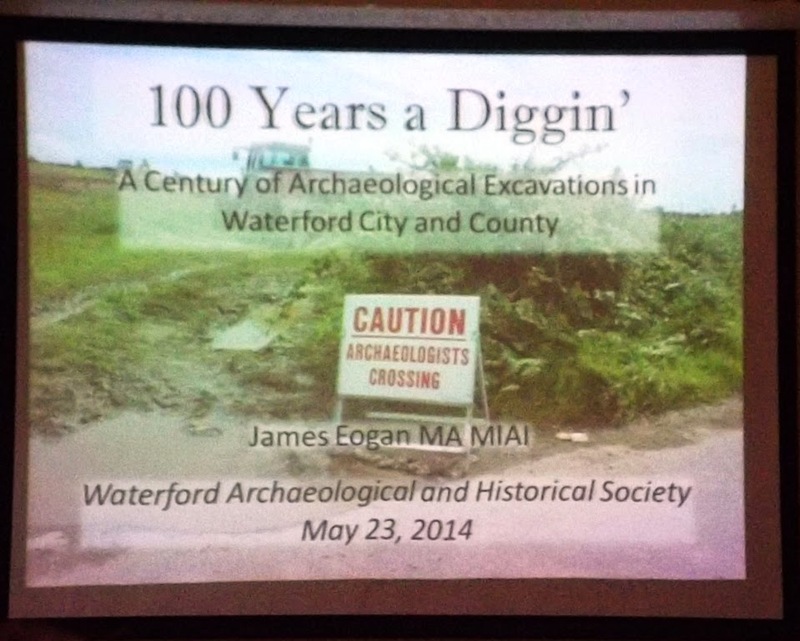 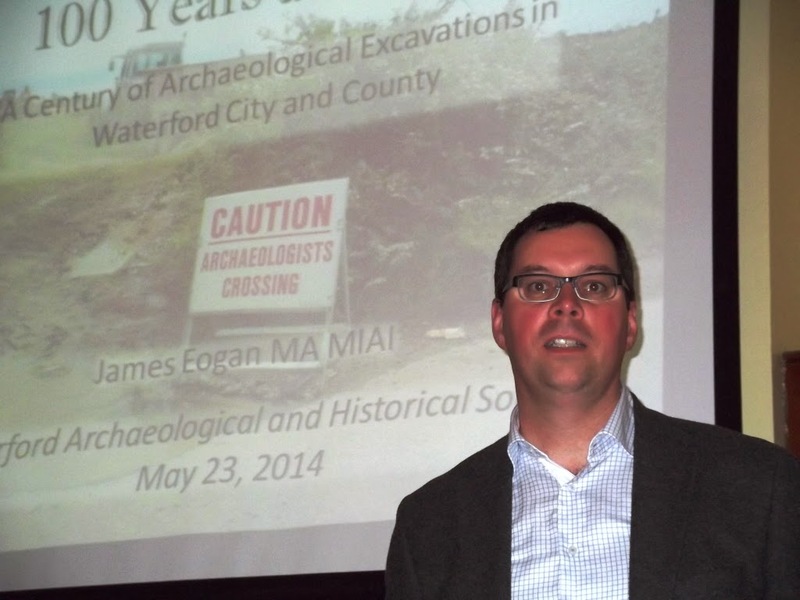 to contemporary excavations in Waterford and Dungarvan centres, or along the river Suir. 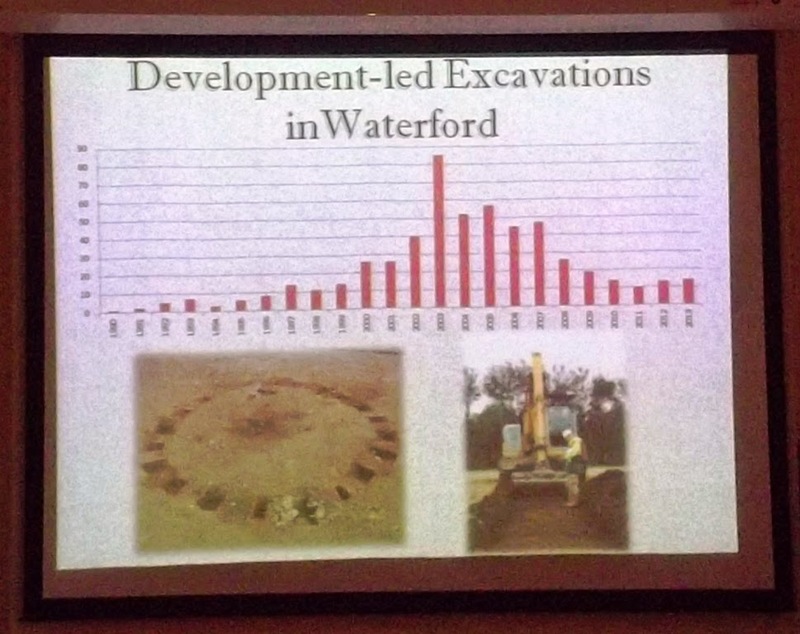 From chance findings, to purpose-led diggings. 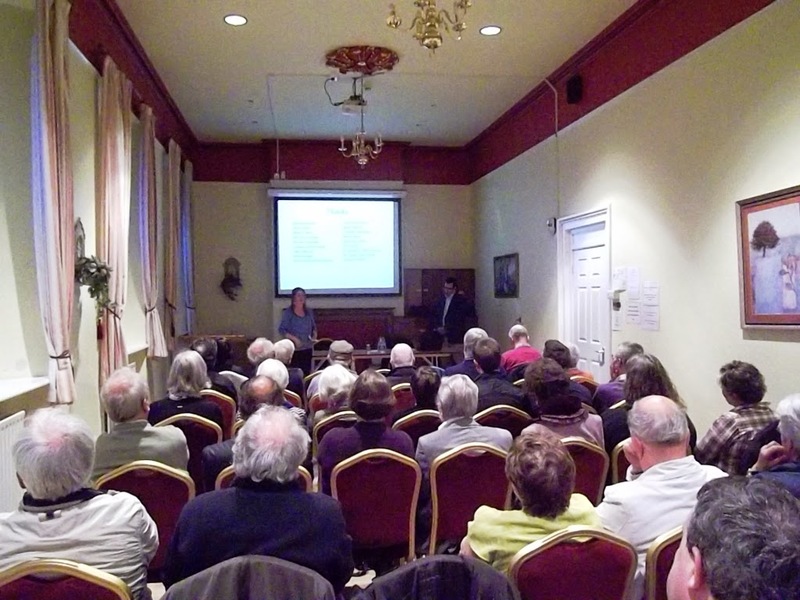 Questions and recollections shared by many after the lecture, once again a great attendance. 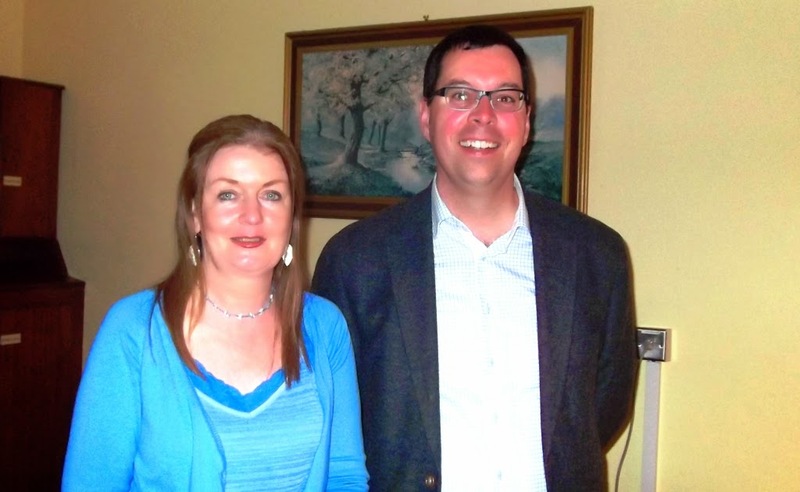 Vice-chair person, Ms Erica Fay, with lecturer Mr James Eogan. 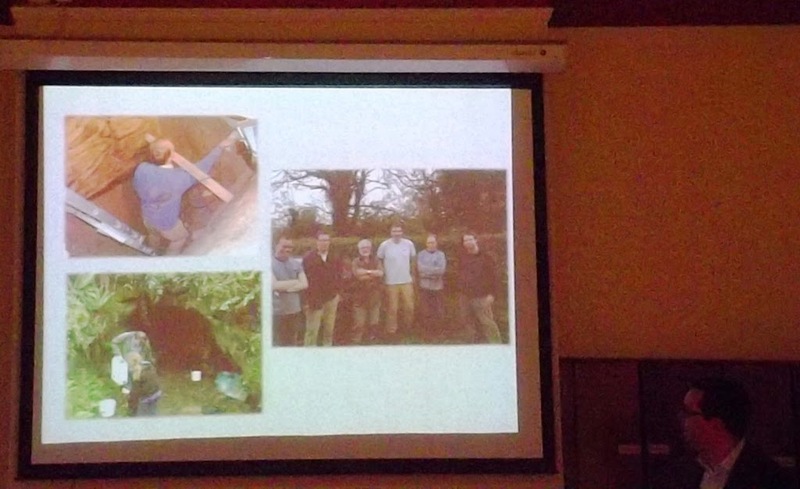 And from the lecture to the 'field-trip' we can consider it an introduction to the the first outing of this summer, by Ms Orla Scully in early June.